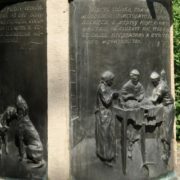 According to dental clinic managers, the monument is a tribute to the human friends who served to the medical science. 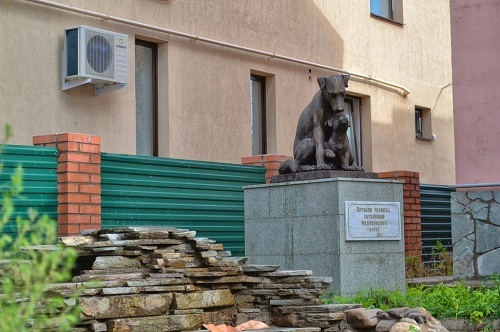 Actually, the sculptural composition became an unusual way to mark the anniversary of one of the largest networks of dental clinics in Ufa, Bashkiria. The company’s management wanted to somehow perpetuate their work in bronze. 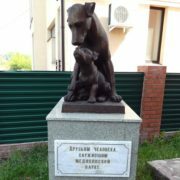 According to them, sculpture of tooth would be somehow banal, so, they decided to erect a monument to a cute dog and her puppy. Why these animals? Going to the dentist is always stressful. But we don’t even ask some dogs – we put them in the dental chair and for the sake of science pull out old tooth and insert new one. 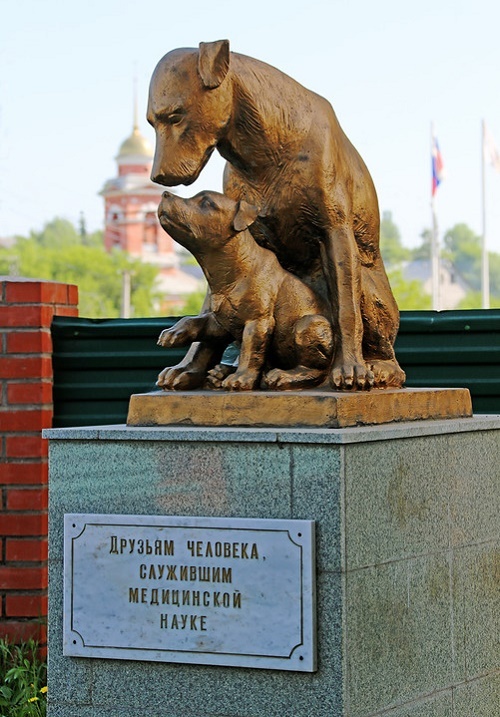 “Not that dentists tortured conscience – we just wanted to pay tribute to the heroic dogs”, explained the managers. “The fact is that we have developed a unique technology for the transplantation of donor tooth. And new implants are tested on the dogs, because their immune system is well suited for these experiments”. 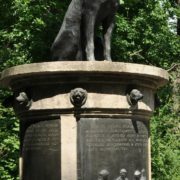 Monuments to dogs in different cities and regions of the country have become the usual event, but a monument to experimental, or laboratory animals are rare. Installed in Ufa sculptural composition has an unusual appearance and the story. 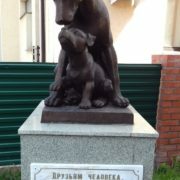 This touching bronze composition represents a big dog and a cute mongrel puppy. 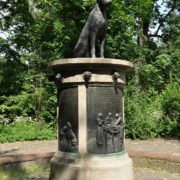 The monument appeared in 2010.